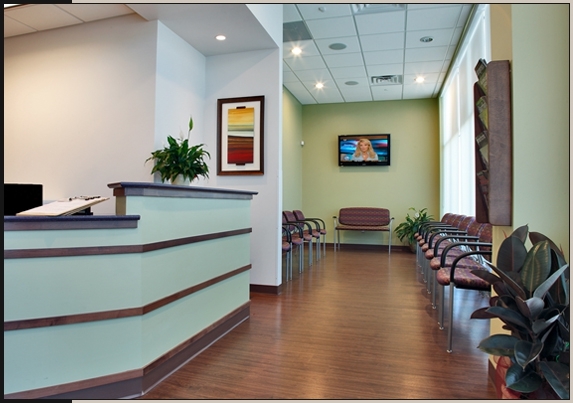 Velocity Urgent Care-Patient Check-in & Waiting area: FX Medical Design developed a warm inviting, yet modern patient check-in and waiting area within a strict budget & timeframe. 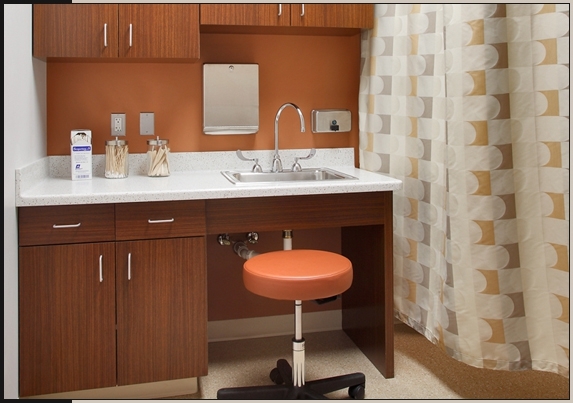 OBGYN exam room combines the warmer earth tones of terracotta with crisp whites and a playful geometric privacy curtain to complete maintenance proof medical room. 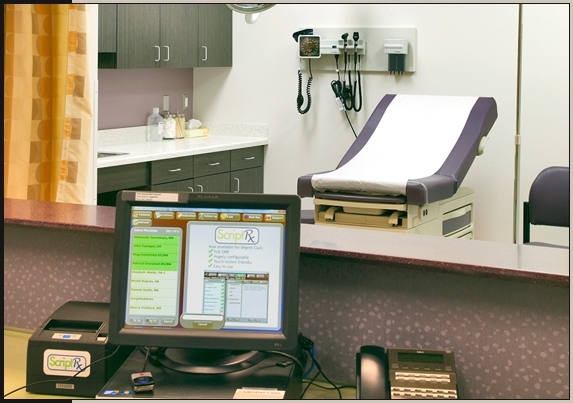 Large functional nurse's station combines two distinct color pallets. 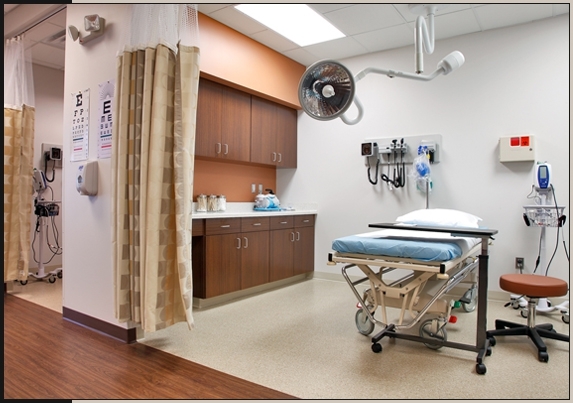 Dark wood flooring and terracotta and aubergine-lavendar in the exam rooms. 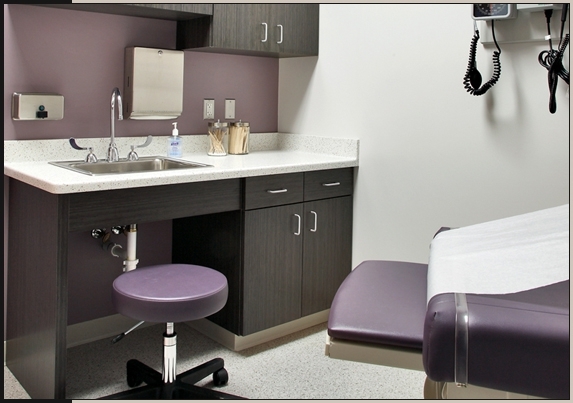 Exam Room: By adding the textured charcoal cabinet finish with the lavendar hued walls the room takes on a modern yet restful environment that appeals to females. 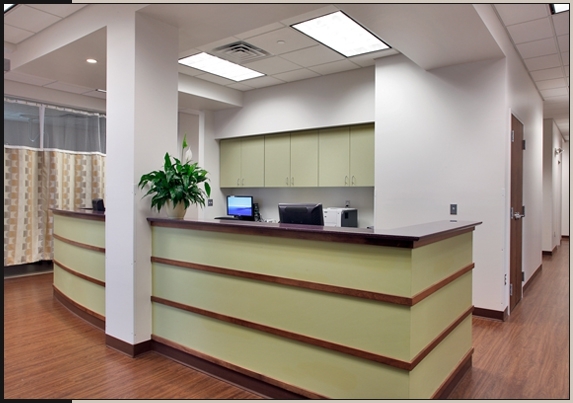 Triage Rooms: By adding a pop of warm terracotta color and wood tone cabinets, we are able to divert patients attention from the medical equipment that surrounds them. 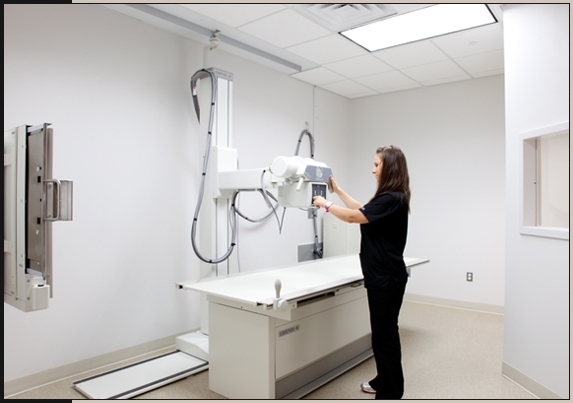 X-ray Room: Clinical white was required by the doctors for this room.